Below is my recent post for the Lucky Lifestyle Contributor Contest. I created a colorful Moroccan-Mediterranean themed dinner party. See more pics below! Parties are my thing. No, really-- I studied it in college and recently launched my own event planning company. 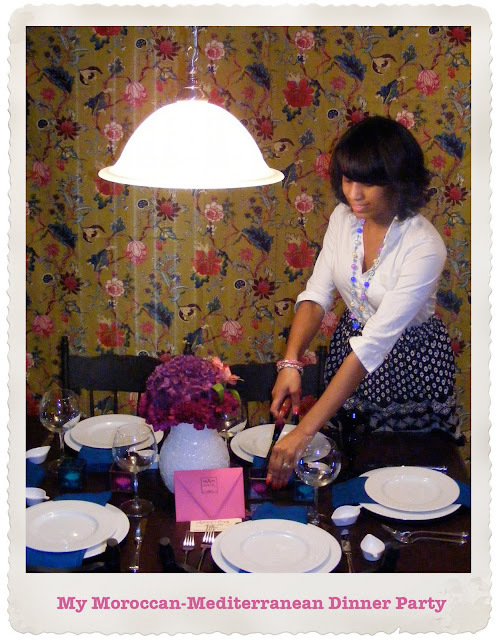 I love planning events and showcasing creativity through decor and the dining menu. It's often the little details that get noticed the most, so I try to incorporate something unique for guests to remember. Whether it's a unique place card, signature drink or invite -- be sure to add your custom stamp to any party you host. I'm in love with bright, vivid hues so for my latest soiree I decided to go for a Moroccan-Mediterranean themed dinner party using a range of lush fuchsias and turquoise. The invites are unique, calligraphed tag tickets with homemade tassels, mailed in a fuchsia envelope. White dishes work for every occasion and can be easily dressed up or down. For the table settings I added pop to the dishes with turquoise napkins and used silverware with a similar beading pattern. A flower arrangement with purple and blue hydrangeas and magenta carnations add concentrated color along with Moroccan-style candle holders. Key Tip: Use colors and items that make you feel exuberant. We started off the night with spanakopita, my favorite Mediterranean appetizer. Next, we had a field greens and herb salad. For the main course, I served up shrimp skewers over couscous dotted with cranberries and toasted nuts and garlicky green beans with sliced almonds. A perfect combination for a Mediterranean-inspired event. Key Tip: Not everything has to be made from scratch. Some items taste just as good or better when they come prepackaged from your local store. I like to work a little bit of the theme into my party attire. For my Moroccan-Mediterranean Party I donned a black and white skirt, boasting an arabesque inspired print, with colorful jewelry. Key Tip: Wear an outfit that shows off your style sense and is also comfortable, so that you can focus on your guests and not wardrobe malfunctions! Clothing: Skirt, Urban Outfitters. Shirt, Banana Republic. Heels, Charles Jourdan. Jewelry, Saks and Belk. 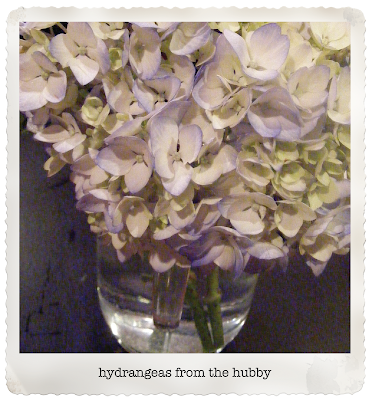 Hydrangeas are undoubtedly one of my favorite flowers. 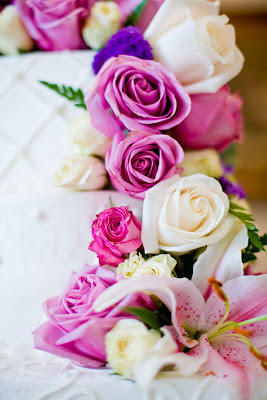 Simply beautiful, I love the mound shape of these blooms.They are a perfect accent for any event or just decorating your home. 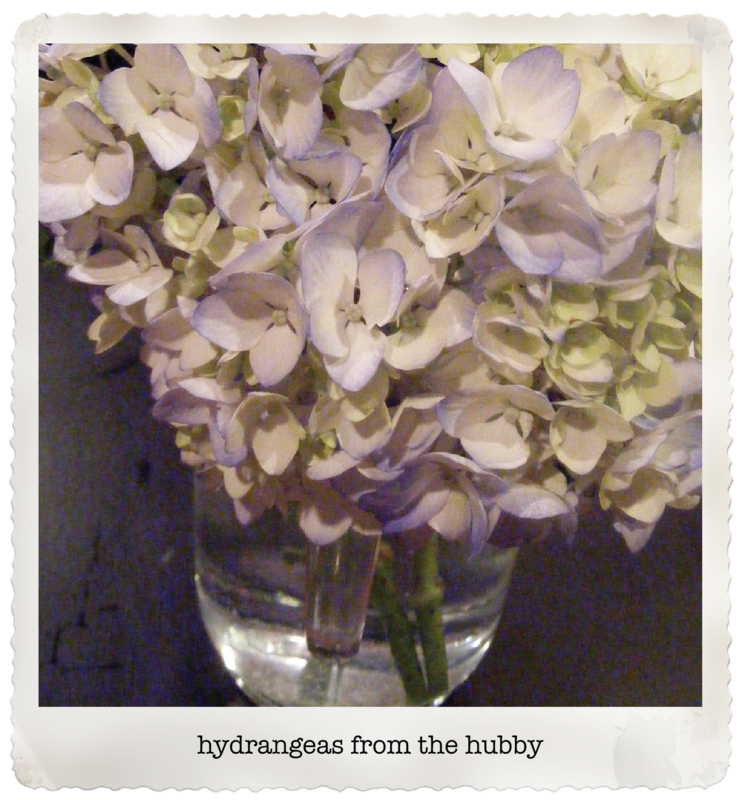 I actually planted my first hydrangea this spring. Luckily, it has survived the overbearing heat of Georgia, I can't wait to see what it produces next year! 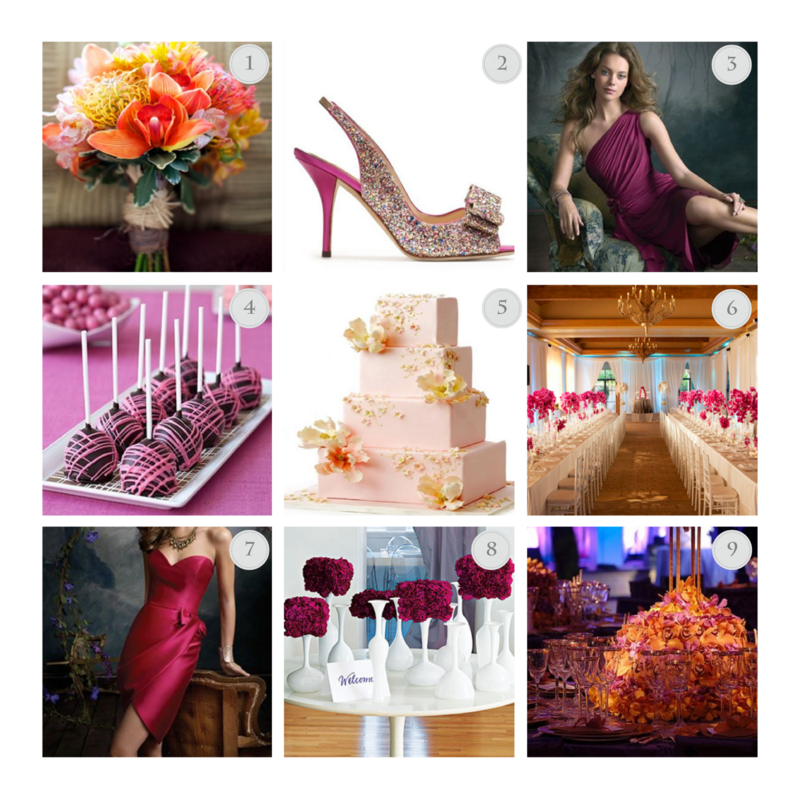 As Summer winds down, and Fall begins to rear its head, we tend to migrate to richer color schemes for events. Right now, I seem to be gravitating to a tropical vibe with hints of goldenrod and orange, but grounded by deep fucshia. 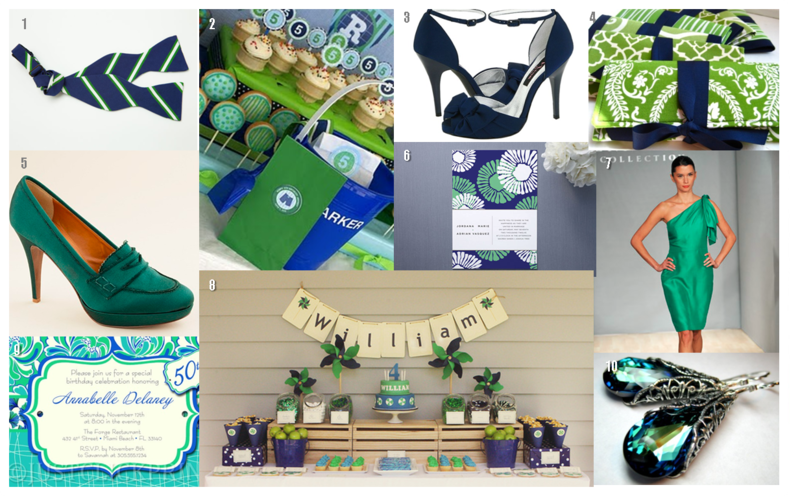 The inspiration board above highlights some of my favorite applications of this tropical color theme. 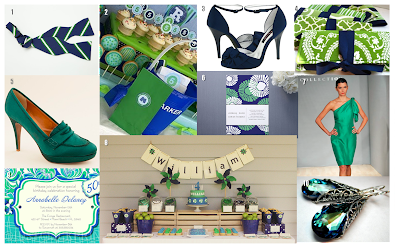 At this moment, I'm loving the traditional color combination of navy blue and green. There is a certain crisp freshness about it that screams classic and welcoming. This colors play beautifully together in both fashion and events. How do you plan to work these colors this fall? 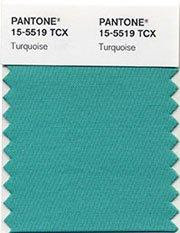 Pantone recently annouced the color of the year and it's....TURQUOISE! 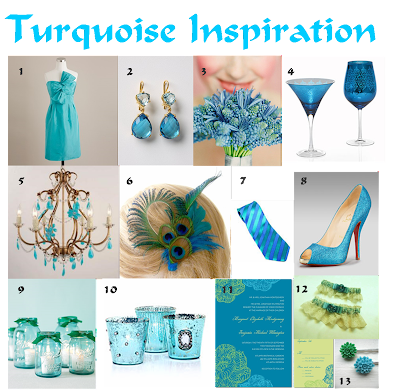 I've pulled together a turquoise inspiration board with pieces that I absolutely love for weddings, entertaining, and home. Enjoy! What are your favorite turquoise pieces?